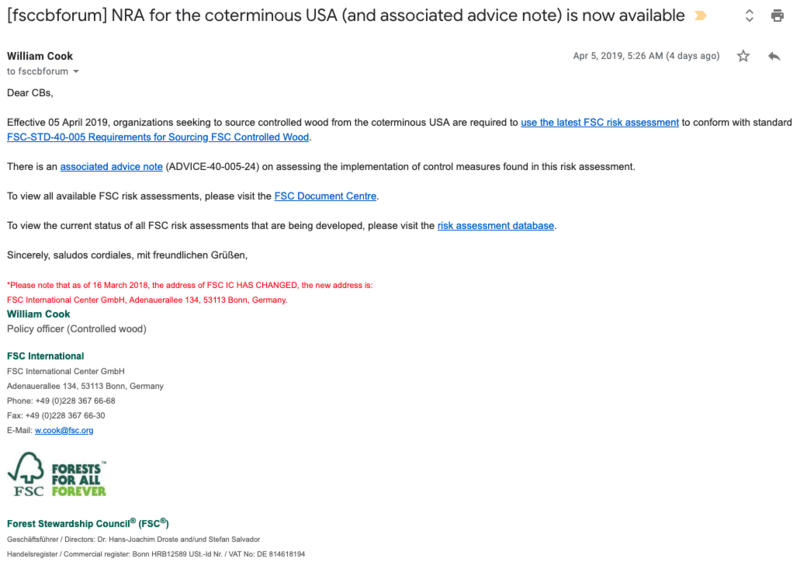 FSC Controlled Wood: the US-NRA is here! It seems hard to believe, but the Forest Stewardship Council (FSC) announced late last week that the long-awaited National Risk Assessment (NRA) for the United States has finally been approved and posted for use. It’s hard to believe that it’s here. It is also hard to believe that it took more than 6 years to accomplish. The hard work isn’t done, but this is nonetheless an important and helpful step forward. As with all things at FSC, the devil is in the details. 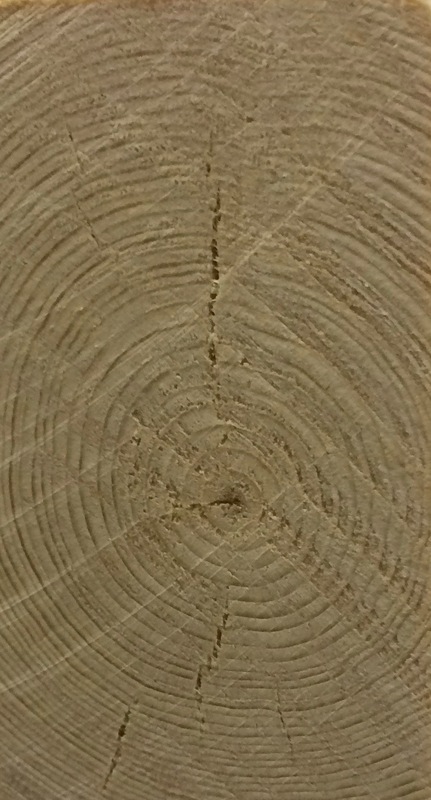 That said, we think this is very good news for the wood products industry across North America. It should make FSC certification easier to maintain and more reliable. That’s good for the whole community. Let’s take a quick look at what is in the approved NRA, and what it will mean in the coming year. When you spend most of your time and attention, mired in the day-to-day world of Chain of Custody (CoC) certification, it can be easy to lose sight of why we work so hard at all of this. 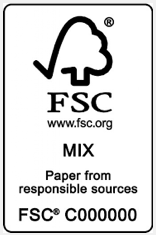 At MixedWood, we are fond of pointing out just how much the FSC, SFI, and PEFC programs have in common. One obvious but often overlooked point is in their names. 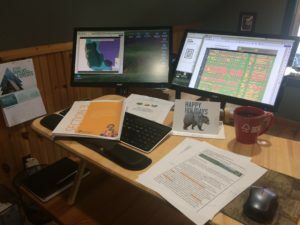 In our modern world of acronyms and abbreviations, our favorite “green” certification programs are most generally referred to by their initials. 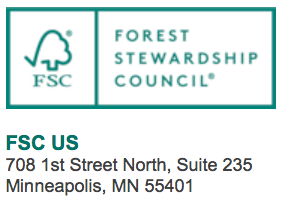 Not Forest Stewardship Council, but FSC. Same for SFI & PEFC. Have you ever noticed that these programs only share one initial in common? Not accidentally, that’s “F” for Forest. Something to think about. Our post from just before the New Year shared some important information updates on the status of the Forest Stewardship Council (FSC) Controlled Wood program in the US. Our intent, of course, was simply to share and summarize the latest information available on this important topic. It is both traditional and healthy to take advantage of this quiet time of the year to do a bit of reflection. 2018 was an active and interesting year for us and also for many of our clients. We can say the same for the programs we follow so closely. FSC and SFI continue to grow and thrive – sometimes in spite of their best efforts at self-destruction. We’ll have more to say soon on that subject. 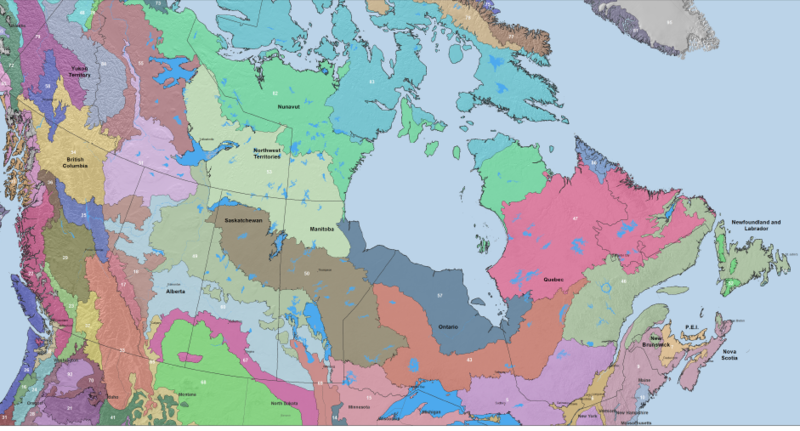 For now, however, we would like to share a handful of general observations and reflections; make a few timid predictions for the coming year; and offer some promises of our own for the coming months. 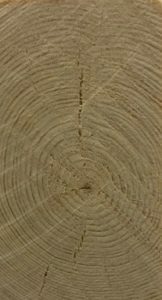 This post is to provide a quick update for the many folks who are following the ongoing drama of the FSC Controlled Wood program, and specifically the many companies who have implemented the latest version of FSC-STD-40-005 and are facing the end-of-year deadline for approval of the US National Risk Assessment (US-NRA).